Here you can see what ICONS Replicas/Timeless Collectibles made under their days in business! Just look at the great details of their replicas! And remeber that they where the first comapny in the world do do a Film replica. The Star Wars Darth Vader Saber was the first one and made as good as possible at the time. I wish they still where around! All I have in my personal collection is the Timeless T-1000 Stabbing finger,CPU Chip and cutoff claw! But I hope to get more soon! They are pretty hard to find these days! But you might drop into one here and there! Please ask me first if you want to borrow any pictures on my site. Icons also had a Collectors Society. Klick here to see what was included in that package. 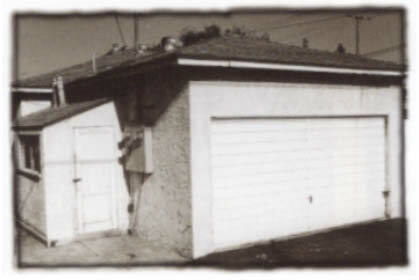 It all started here in Jim's garage.